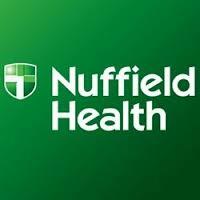 Has your insurer referred you on to Nuffield Health? Physiocentric is not currently under contract with Nuffield Health & therefore we cannot accept new Nuffield referrals while we are in the process of renegotiating our Nuffield contract. All existing referrals are able to continue within their individual policy limitations. We do however have agreements in place with all major insurers. We want to assure all of our patients that you & your healthcare is our primary concern. Our commitment to ensuring our patients have the best possible treatment outcome is paramount. We recommend that you check with your insurer whether you have been referred to Nuffield. Insurers currently referring to Nuffield include: AXAppp Healthcare; AVIVA & HCML; Cigna. If you have been referred to Nuffield Health through your insurer, this will mean that you will not be able to undergo treatment at Physiocentric regardless of whether you were referred to us by a GP/Consultant or are a returning patient, unless your parent insurance company authorises it direct with us. Please call our Practice Manager, Lucy on 020 8879 3608 to discuss your individual situation if you require further information. Thank you to all of our patients for your continued support and bearing with us throughout the renegotiation process.